How to organize your home for a child with autism, ADHD, anxiety disorder, sensory processing disorder or other sensory issues? Carolyn Dalgliesh knows. 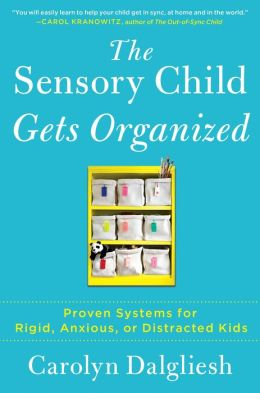 Based in Providence, Rhode Island, she’s mom to two kids (one with sensory needs); a professional organizer who runs Systems for Sensory Kids, LLC and Simple Organizing Strategies; and author of the new book The Sensory Child Gets Organized: Proven Systems for Rigid, Anxious or Distracted Kids. I asked her for some home tips, and she shared a bunch of great ones. Back-to-school is a lot more than new backpacks, notebooks and pencils in our family. 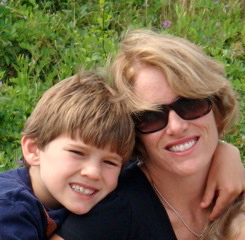 It has been ten years since my son was first diagnosed with Sensory Processing Disorder, something that has stayed with him along with some rigid, anxious and distracted behaviors that come to visit periodically. 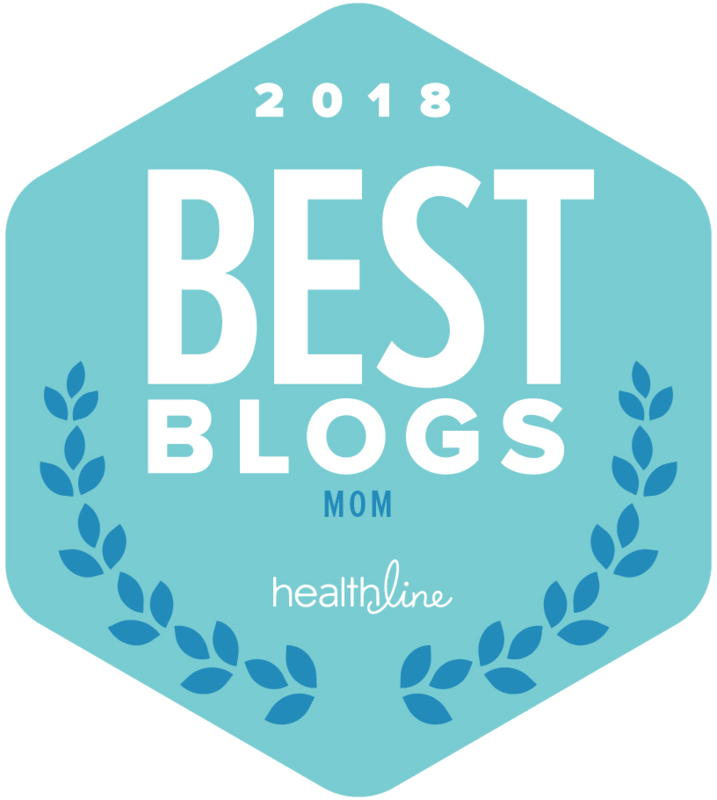 Early on, I was overwhelmed with trying to figure out how I could support these challenging behaviors in ways that also supported me and our time as a family. I wanted our home to become more than my sensory childʼs emotional unloading zone. I wanted to have moments of connection and fun, and that meant coming up with strategies for the little things at home that could easily turn into major stress points. Letʼs go room-by-room to identify ways you can use structure, routines and visual aids to support your sensory child—and your time as a family. Put together an active bin. The goal is to give kids “safe” ways to move. 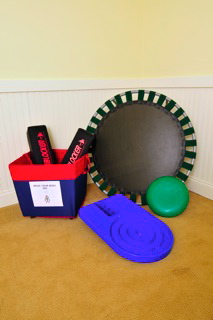 Include age-appropriate activities such as big foam blocks for crashing into, a bowling set or balancing toys. Create a sensory zone. Dedicate a bin or area for simple sensory activities, ready to go—a rice or bean bin, Play-doh, rug remnants to explore different textures. Have a fascination station, too. Nothing can calm and center our sensory kids like time with a current fascination. Say your child is into cars; put together a bunch in a bin, even better if it's a small one with a top so you can grab it and go for car rides or trips. Allow for controlled movement. A disk seat on the dining room chair, carpet square on the floor for a “standing” seat or frequent trips to get up to get things needed for the meal are a few structured ways to incorporate movement. Play table games. It's a great way to help sensory kids stay engaged and connected. 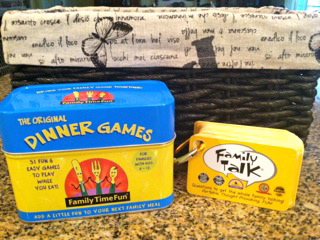 A few of my favorites: Dinner Games and Family Talk. Make a new menu. To help sensory kids branch out and try new foods, make a laminated New Foods Menu with pictures and/or words of new foods. Give them a choice of the new food they try with a goal of introducing one new food every few weeks. Have a bathroom caddy handy. 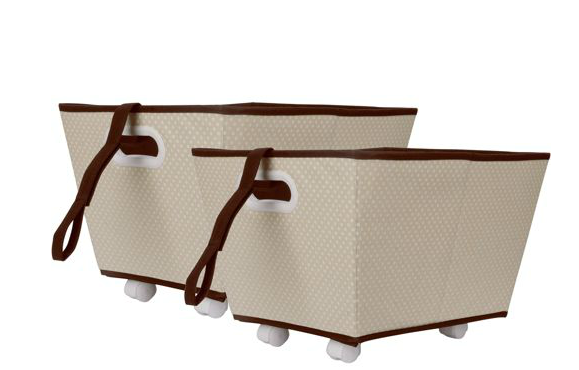 They're great for open, visual storage for daily routines. 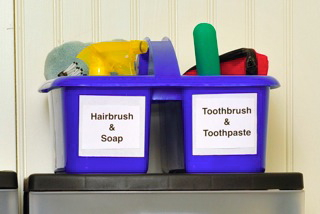 You can do a little one for younger children with two sections, as below, or a standing one with wheels for older kids that has sections for teeth-cleaning, hair-care and face-washing items. For extra support, label with pictures and/or words. Visualize routines. Print out and laminate a simple morning/evening bathroom routine using pictures and words such as 1) Wash Face 2) Brush Hair 3) Brush Teeth. Do bins on wheels. Removing external stimuli in the bedroom at bedtime can help some sensory kids settle down faster. 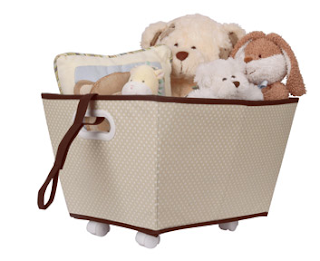 Having toys and books in wheeled bins allow you to move them into a closet or out of the room at night if needed. Find a sensory sweet spot. Invest in some special soft or tactile blankets, weighted blankets or snug Lycra bedsheets (see sensory retailers for products). These can help sensory kids calm their bodies and shift into a more relaxed mode. Time and time again I've found that these small supports have a huge impact on life at home with my family. When you have your toolkit ready for those small but expected bumps for your sensory child, you have a lot more time at home for the good stuff: real connections and fun. Good luck! 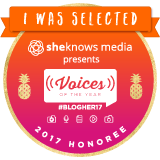 And please feel free to share your own sensory secrets here—it takes a village (and I’m so happy to be part of this one; thanks Ellen). 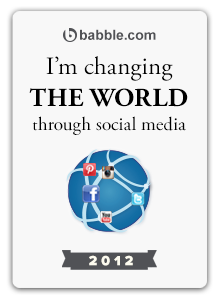 Find Caroline on Facebook here and on Twitter here. Photos used with permission from Mike Egan/Egan Images; all images used with permission The Sensory Child Gets Organized (Touchstone/Simon & Schuster). Great ideas! I'll have to try to implement some of them! 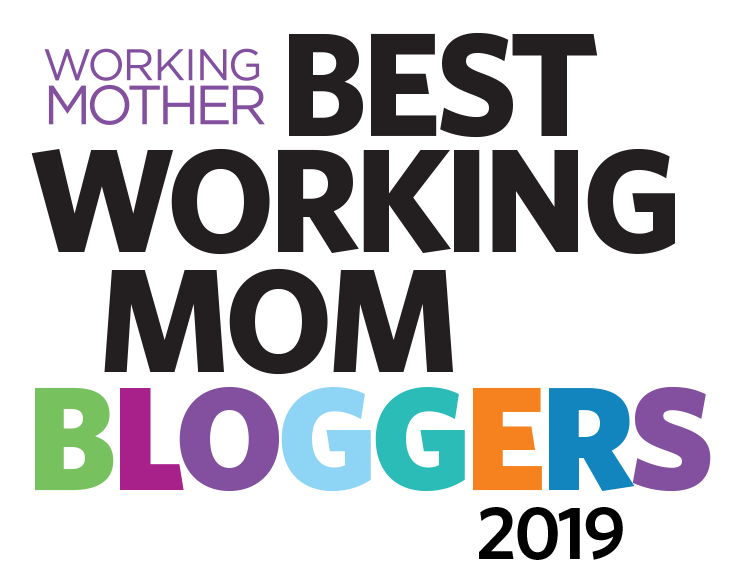 Thanks so much, we are actually doing most of these which was a big boost to me as a mom who never feels like I'm doing enough.